Properly installed irrigation maintaining your lawn. Seasonal preparation, maintenance and cleaning. Sprinkler heads, broken lines, and controller boxes. 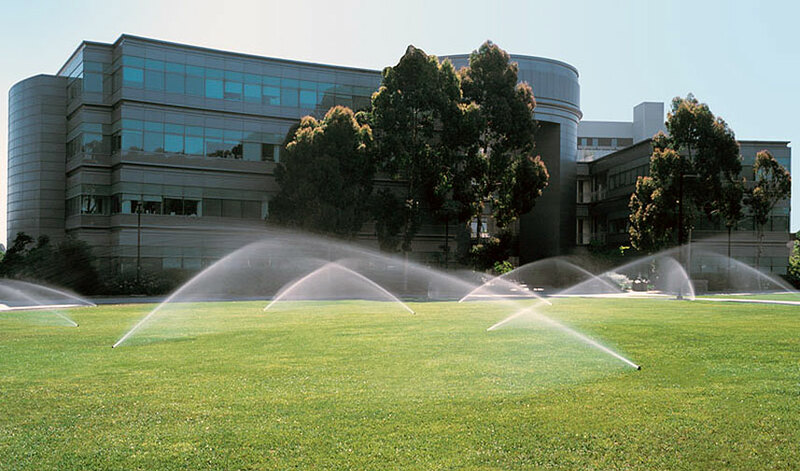 Rain Bird Corporation is the leading manufacturer and provider of irrigation products and services. Since its beginnings, Rain Bird has offered the industry’s broadest range of irrigation products for farms, golf courses, sports arenas, commercial developments and homes in more than 130 countries around the world. It is our legacy to design and manufacture only those products of the highest value and quality. We work for long-term, responsible partnerships with our customers and our vendors. This is who we are, and this is how we wish to be perceived in the irrigation industry and our communities. Hunter's solid commitment to building the highest quality irrigation products and backing them with outstanding service and support has helped Hunter achieve solid and impressive growth around the world since 1981. Today, Hunter produces a full range of water-efficient products for residential and commercial use, including its durable pop-up gear-driven rotors, MP Rotator sprinklers, controllers, valves, weather sensors, and central control systems. Since the beginning, over 150 patents have been issued. 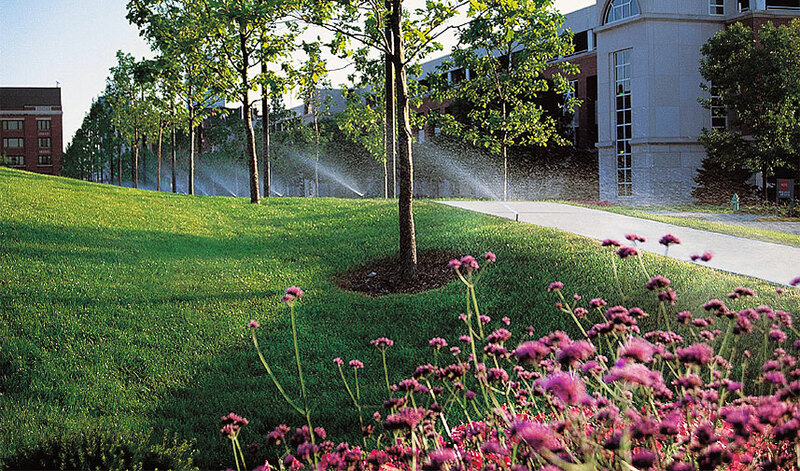 Engineered Rain recognizes how important an irrigation system is to keeping your commercial property looking its best, and for over 20 years we have installed reliable irrigation systems for businesses and municipalities in the tri-state area. We use high-end equipment to ensure that your irrigation system performs properly and efficiently, so as to not waste water and to ensure proper coverage for your grass. 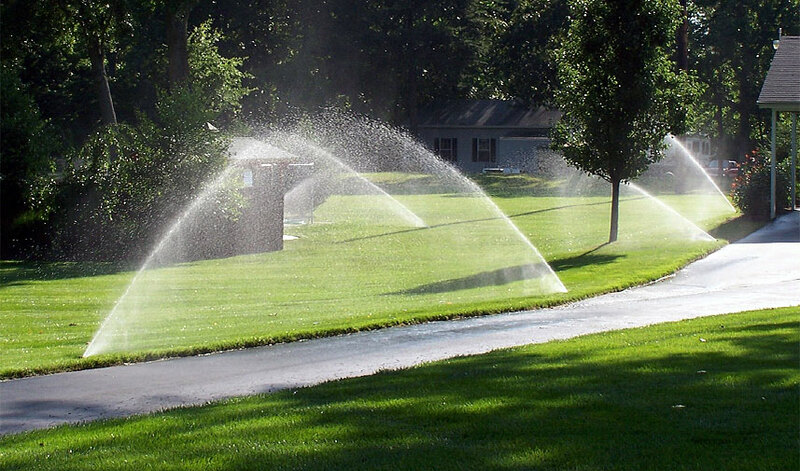 Once a system has been planned, our installers will use state-of-the-art equipment to mark out the lawn, dig trenches and holes, and install all of the piping and sprinkler heads necessary to water your lawn. We then hook all of the plumbing together and install the controller box in a manner that is most efficient and capable of properly watering your lawn in order to keep it green and lush. Keeping your property looking beautiful on the outside can be a daunting task. Engineered Rain has decades of experience and insight on choosing which pieces should go where. Do-it-yourself landscaping can be an arduous, time-consuming activity which most people don't have time for, and as a result the lawn begins to fall into disrepair and decay. Engineered Rain is the solution to beautifully cultivated curb-side appeal. The spring is the perfect time to clean up any remaining leaves, trim and clean out perennials, remove storm damaged limbs, and lay down a fresh layer of mulch. Throughout the growing season we maintain turf areas by mowing, trimming, and edging as needed. As the growing season comes to a close in the fall, we execute thorough fall clean up and removal of leaves. We trim back all perennials, remove annuals, prune trees and shrubs as needed. 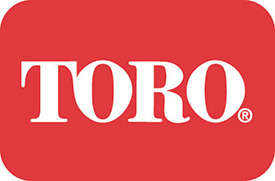 Engineered Rain uses the best products from some of the most trusted brands in the industry, including RainBird, Toro and Hunter Industries. We believe in doing the job right the first time, and a big part of that comes from using quality products that have not only stood the test of time but are backed by industry leading organizations which are trusted world-wide. Copyright © Engineered Rain. All Rights Reserved. Website development by Blackbear Media.